When it comes to sophisticated SUVs in Indian market, there are only 3 models that are prominent in Indian market namely – Chevrolet Trailblazer, Ford Endeavour and Toyota Fortuner. Fortuner sales number have declined over the time. Toyota has now revealed that it will be officially launching the refreshed version of new 2016 Fortuner in India on November 7th this year. 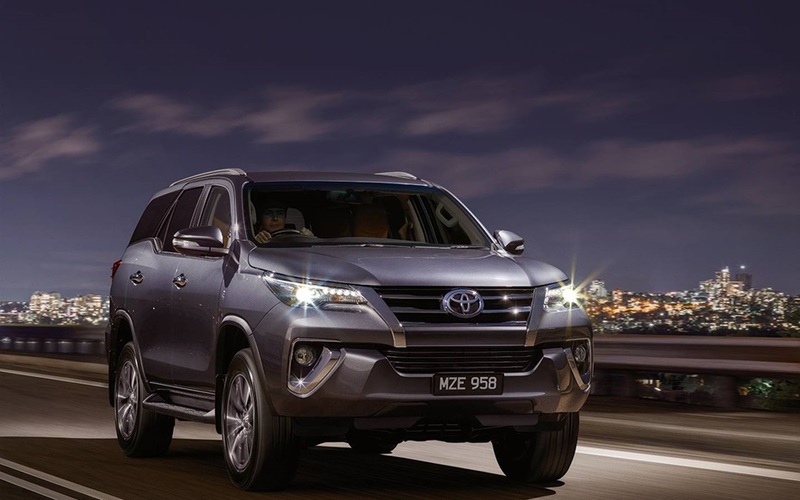 The all new upcoming Toyota Fortuner (2016 edition) will be priced higher than the outgoing Fortuner model. There will be also addition of new advanced features, better level of equipments in the latest Fortuner model. The ex-showroom price of 2016 New Toyota Fortuner could be above 30 Lakhs. Currently, the top trim model of new Toyota Fortuner 4×4 Automatic version is priced at INR 28 lakhs. Looks like Toyota is choosing the same route of Innova Crysta – which was priced more than its predecessor. For the very first time, The all new Fortuner is going to be launched both in petrol and diesel engines. The car is built on same platform as that of Innova. Toyota Fortuner will be featuring both 2.8-litre diesel as well as 2.7-litre petrol engines that gets equipped with switchable drive modes for power and economy. You can expect three configurations and the diesel variant would be likely getting a 4-wheel drive system that has an option for both manual and an automatic gearbox. Toyota’s 4WD system is christened as Sigma 4 and is going to feature some of the first-in-class and best-in-class features like active traction control for all wheels. Talking about the petrol version of Toyota Fortuner, the petrol Fortuner will be launched with a 4×2 system that gets a manual transmission gearbox. On the other hand, the heavier 4X4 drive system and an automatic gearbox will severely compromise the fuel-efficiency figures. While the petrol version of 2016 Toyota Fortuner gets a 5-speed manual transmission gearbox, the diesel car gets six-speed unit gearbox. The all new Toyota Fortuner diesel variants will be fitted with a 18-inch alloy wheels whereas the petrol Fortuner would come with 17-inch rims. The additional features of refreshed Fortuner include segment first bi-beam LED headlamps, LED daytime running lamps and push-button start-stop. The launch date of 2016 New Toyota Fortuner is on November 7, 2016. Toyota dealerships have already started accepting bookings for new Fortuner and one could expect the deliveries starting from 2nd week of November.